Aoraki Mount Cook in the Tasman River Valley. Ben Ohau Range at left, Burnett Mountains right. 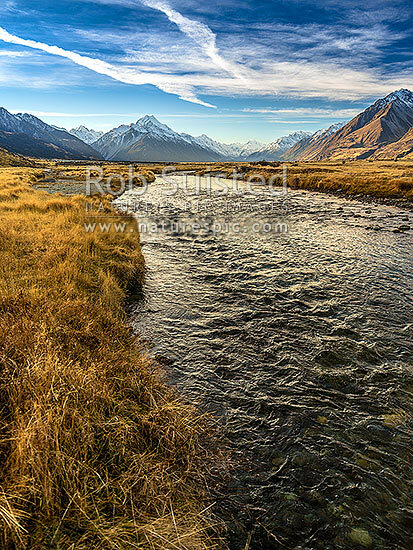 Clear mountain stream below, Aoraki / Mount Cook National Park, MacKenzie District, Canterbury Region, New Zealand (NZ), stock photo.